We would so love to see our readers photographs of the Lake District and the whole of Cumbria. This is a really simple system to upload your Cumbria Photos and there is even chance to tell us a little about the photo too, so that other readers can be inspired and maybe take a trip to the same location. We have to ask that photographs are not larger than 800 x 600 px. You can re-size them for free here. Do you have Cumbria and the Lake District Photos to Share? Do you have some great photos of the Lake District that you could share with us here at Discover Cumbria? We would really love to share your photos and we have tried to make the process of uploading them very simple. All you need to do is type! will really help to bring the occasion alive to our readers. It is really simple to upload your photos. Just click the button and find the first one on your computer. Select it and click on the button to choose it. 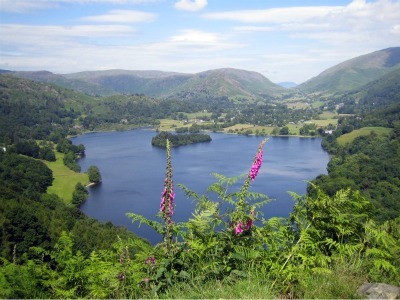 Submitted by Discover Cumbria - We thought we'd share photos from an idyllic walk we took in Grasmere - and hope you'll be tempted to share your photos with us, too.